The EPA FT4/EU Stage IV engine employs field-proven cooled exhaust gas recirculation (EGR), a diesel oxidation catalyst (DOC), and selective catalytic reduction (SCR). Improved piston design allows particulate matter to be burned in the cylinder, so there's no need for a diesel particulate filter (DPF), saving service time and lowering operating costs. Auto-idle automatically reduces engine speed when hydraulics aren't in use. Auto shutdown further preserves precious fuel. Standard John Deere walks allow for easy cab-level machine access, with points of contact all around. Diesel exhaust fluid (DEF) can be conveniently filled when refueling due to its large and accessible tank. 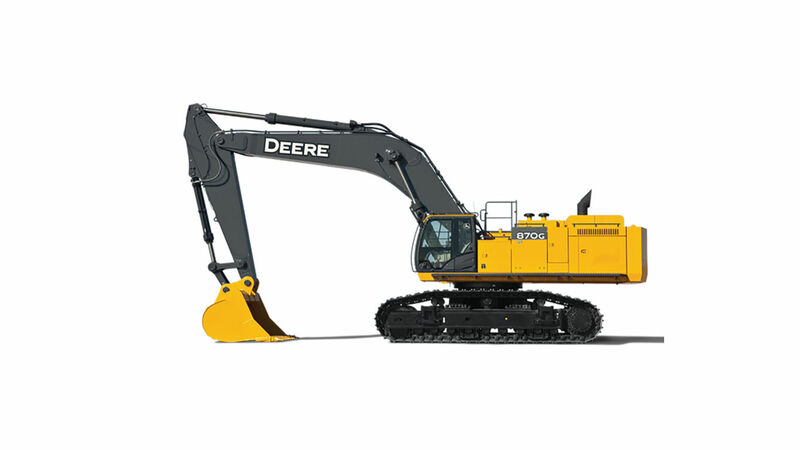 Large fuel tanks and 500-4,000-hour engine and hydraulic oil-service intervals decrease downtime for routine maintenance.